We work with a select number of builders to offer our clients a truly custom bike experience. If it’s the incredible ride quality of steel or the advanced tech of carbon, we have you covered. The process always starts the same–with a chat. We want to work with you to envision your dream ride. From there we will get you out testing some of our demo bikes because we firmly believe riding is believing and we want you to be confident in your decision. Then we will begin our work on the fit–this is a custom bike after all. The information from the bike fit will be given to your chosen builder and now the build process truly begins. Now comes the hardest part of the process: the paint. It will take time and consume your thoughts, but you will end up with a bike that speaks your language and expresses your personality. The final build is quite easy. 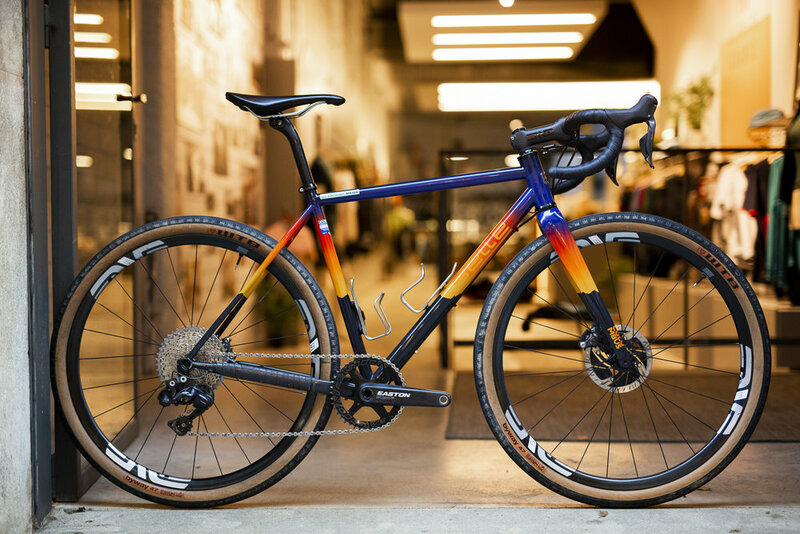 We offer our standard finishing kits for different budgets, but we can also look for those special, extra exotic bits to really take this bike to the limit! Choose a builder below to get an idea of options and prices for their frames!